Identifies frequency with which pain interferes with patient’s activities, with treatments if prescribed. Determine pain level when the patient IS USING CURRENT PAIN INTERVENTION (medical and non-medical pain management techniques). Pain interferes with activity when the pain results in the activity being performed less often than otherwise desired, requires the patient to have additional assistance in performing the activity, or causes the activity to take longer to complete. Include all activities (e.g., sleeping, recreational activities, watching television), not just ADLs. When reviewing patient’s medications, the presence of medication for pain or joint disease provides an opportunity to explore the presence of pain, when the pain is the most severe, activities with which the pain interferes, and the frequency of this interference with activity or movement. Be careful not to overlook seemingly unimportant activities (for example, the patient says she/he sits in the chair all day and puts off going to the bathroom, because it hurts so much to get up from the chair or to walk). Evaluating the patient’s ability to perform ADLs and IADLs can provide additional information about such pain. Assessing pain in a nonverbal patient involves observation of facial expression (e.g., frowning, gritting teeth), monitoring heart rate, respiratory rate, perspiration, pallor, pupil size, irritability, or use of visual pain scales (e.g., FACES). The patient’s treatment for pain (whether pharmacologic or nonpharmacologic) must be considered when evaluating whether pain interferes with activity or movement. Pain that is well controlled with treatment may not interfere with activity or movement at all. 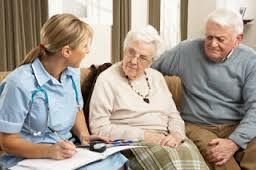 Why are contingency plans good for your home health business?